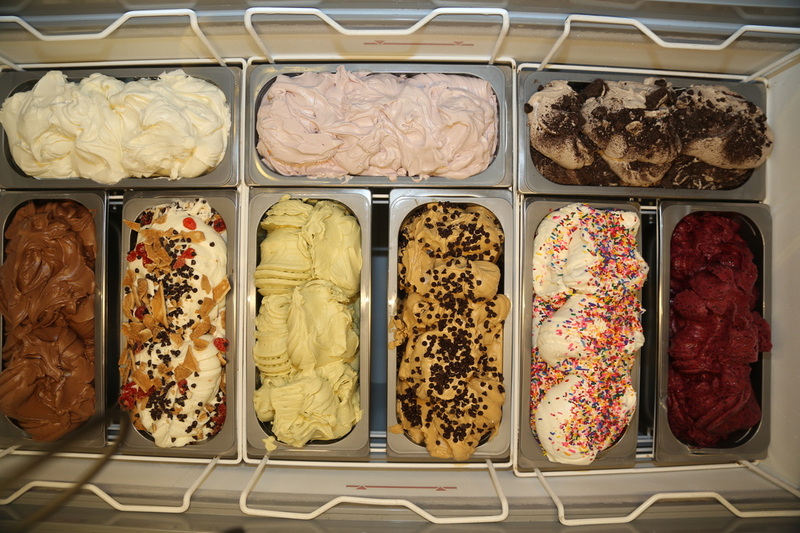 Event Catering - Artisan-Crafted Gelato and Sorbet: family owned and full of fresh, homemade goodness! Give Your Guests A Unique Treat! As kids we always loved it when friends and family would visit, because that’s when Mom brought out all the good stuff. Now when your friends & family gather to celebrate a special day, Sweet Melody’s can help you provide the same sort of warm, table-side memories for your guests. Our signature dish, Artisan-Crafted Gelato, can be brought anywhere indoors or out via our unique Mobile Gelato Serving Station. Your guests are sure to rave about this out-of-the-ordinary treat! Reminiscent of the horse-drawn carts that sold fresh produce in the streets of our great-grandmother Maria’s old neighborhood, our Mobile Gelato Serving Station will bring a dash of flavor to any event. Minimal set-up time: usually <30 mins. We supply everything: including upscale cups, spoons, and up to 2 members of our serving staff. Our gelato is elegantly displayed: the gelato is showcased by crisp LED lighting viewable to your guests during your entire event. A happy bride & groom celebrate with a taste of gelato in front of our Mobile Gelato Serving Station. Your choice of up to 9 flavors! The flavors below are just a small sampling – ask our Catering Coordinator for the full list of over 150 flavors! You may also come up with your own flavor creations. 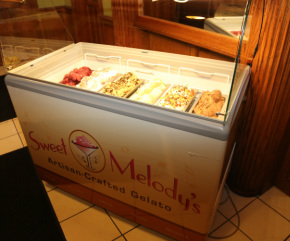 Requests from guests to sample a few flavors before they choose are more than welcome!